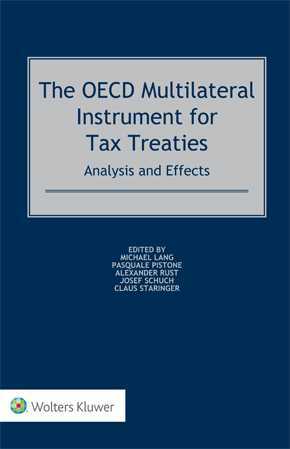 The OECD Multilateral Instrument for Tax Treaties: Analysis and Effects, as the name suggests, covers the scope, interpretation and relationship of the Multilateral Instrument (MLI) with tax treaties. The MLI for tax treaties proposed in OECD BEPS Action 15 will lead to the modification of numerous tax treaties. 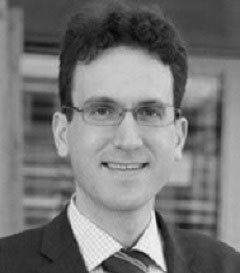 As tax treaties can have different wordings, terminologies and structures, a great challenge is to find a proper way to accomplish their modification without distorting the underlying framework or triggering undesirable effects. In light of these challenges, where the tax treaties are being rewritten to include the MLI, this book analyses the MLI which was signed by over seventy jurisdictions on 7 June 2017, explains its practical effects and examines possible future developments. possibilities and procedures for withdrawal from the obligations entered into upon signing the MLI. Finally, the book discusses whether the mechanism of the MLI can serve as a role model for future changes to the OECD Model Convention. Containing critical analyses by leading scholars and academics, this book allows practitioners to understand the practical effects of the new system, allowing lawyers and practitioners to find solutions to problems in their respective jurisdictions. This book enables readers to gain insights into the policy developments surrounding the MLI. Thus, this book serves as a handbook for academics, tax officials and judges who deal with or are interested in the field of international taxation, to ensure uniform application and interpretation of the techniques for aligning treaties with the MLI.